The Map Collection was established as a special Library’s unit in 1945. 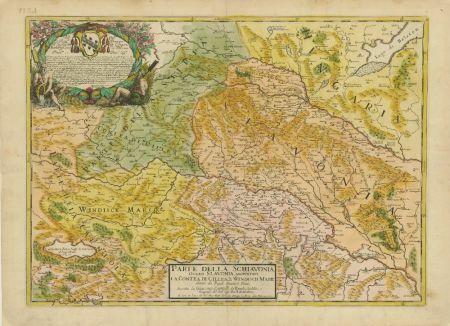 Its items were collected through the singling out of cartographic material from the general Library’s holdings, legal deposit procedures, by bequests from distinguished individuals (B. Krčelić, the Patačić family, V. Gaj, M. Sabljar, R.Ž. Franjetić) as well as through individual and institutional donations. 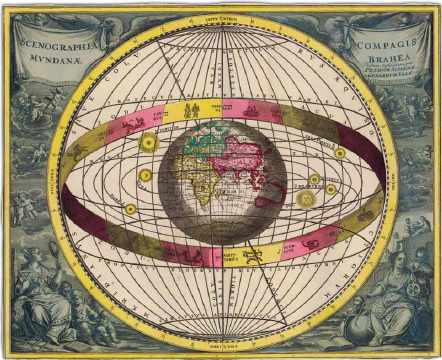 The Collection holds all types of maps – index, thematic and topographic maps of all scales, road maps and naval charts, historic maps and charts, manuscript maps, astronomical charts, and all types of atlases. The materials in the Collection have been systematically assembled and organized according to geographical areas. Over 70% of the Collection’s holdings refer to the area of the Central, South and South-East Europe. Half of the materials represent the areas of Croatia. The Collection also holds the reference library containing works in the field of cartography and specialized librarianship. The Collection comprises nearly 42,000 maps, almost 1,500 atlases, and approximately 600 books in the accompanying reference library. 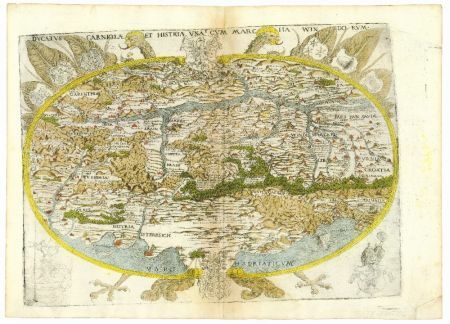 Particularly valuable is the collection of old atlases: several publications by Ortelius, Mercator, Hondius, several publications by Blaeu (Atlas Major, Vol.8. ), atlases by Jaillot, Marsigli, Homann, Lotter, Seutter, Bordone, Coronelli, 2nd edition of Geographia by C. Ptolemaeus, extremely valuable manuscript marine atlas of the Adriatic by C. F. Beautemps-Beaupre (1806), etc. 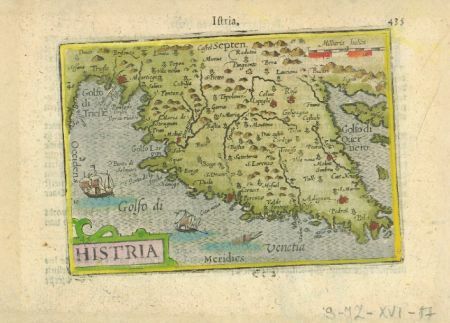 Among the Collection’s especially valuable maps, the following should be singled out: Fries, Tabula V. Europae, 1522; Coppo, Histriae tabula, 1575; Hirschvogel, Schlavoniae, Croatiae…, 1573; Stier, Koenigreichs Ungarn, 1684; over 10 maps of Dalmatia and continental Croatia by V. M. Coronelli; Müller, Mappam Hanc Regni Hungariae, 1709; maps of Dalmatia and Istria by A. Zatta; Lipszky, Hungariae, Croatiae…, 1806; Mappa Dioecesis Zagrebiensis, 1825; road maps of Zagreb and other Croatian cities from the 19th century, etc. 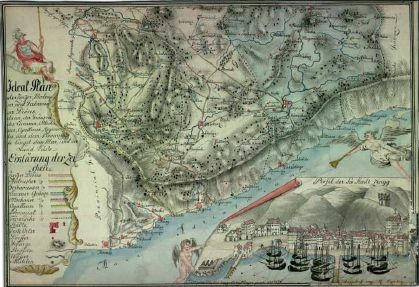 Especially important for the Collection are also manuscript maps, among which the collection of plans and road maps of Osijek and the Osijek historical fortress Tvrđa are particularly prominent. The NSK Online Catalogue and NSK card catalogues include professional-regional, topographic and alphabetical catalogues of cartographic items and materials. The materials in the Collection may only be used in the accompanying Reading Room where users may obtain all the necessary assistance, ranging from finding suitable reading to submitting request forms for specific items in the Collection. Copying the materials in the Collection is not allowed, except for copying individual leaves in more recent atlases and books in the reference library. Cartographic materials in the Collection cannot be digitised for any purpose other than for the purposes of scientific work and research (e.g. digitisation for other purposes (personal, commercial, etc.) is not allowed). The Collection’s digitised cartographic material is available as part of the NSK Digital Collections portal.